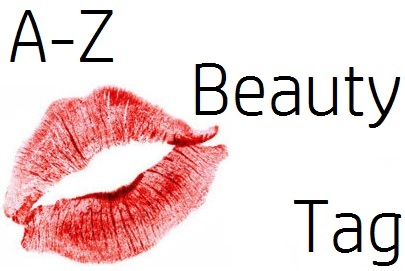 I have been tagged in the A-Z of Beauty Tag so that is the one I am going to be doing today. 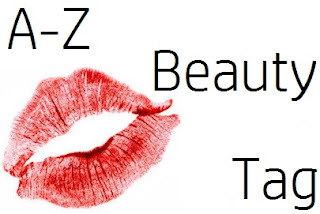 Basically what you do is go through the alphabet from A to Z naming a beauty brand and say why you like them or what products you like by them, etc. Avon - I love Avon nail polishes and their skin care collection. Bobbi Brown - I love their make up brushes! They are the best designer brushes I have ever used. I also love Barry M, Benefit and Bomb Cosmetics too. Chanel - Their lipsticks are amazing. They feel awesome on your lips and they feel so beautiful on your lips. Coastal Scents eye shadows are also awesome. Dior - I love Dior's addict lip glow colour awakening lip balm. They have such beautiful feeling on your lips, so light and simple but beautiful. Elizabeth Arden - I adore their make up remover. A few drops on your cotton pad and that's all you need to remove all your make up. Awesome stuff. FleurDeLash - I love Fleur's new eye lash collection, so pretty! Also I really like Finesse, their self adjusting unscented hair spray. It does the job of keeping your hair in place and there isn't a stinky smell or sticky after math. Givanchy - I love Gienchy's le prisme blush powder palette. Their are four radiant colours in vintage pink colours, so beautiful. I always imagine Marilyn Monroe wearing this! Head and Shoulders - I love love love their shampoo. It always makes my hair feel so clean and beautiful, I never want to use another shampoo. Infinitive Beauty - I haven't tried anything by Infinitive Beauty but I do really want to try this rise and shine tooth gum treatment oil. I've heard so many good things about it. Jimmy Choo - Flash by Jimmy Choo is one of my favourite perfumes. Phil bought me it last year and I love the smell of it, it's my go-to perfume. Katy Perry - Another perfume I really love is Katy Perry Purr. My parents bought me this for Christmas last year and I really love the smell of it. I use this perfume more as an evening time perfume. Lush - Everyone loves Lush bath bombs. I mainly use Bomb Cosmetics during the year and then love Lush around Christmas time. 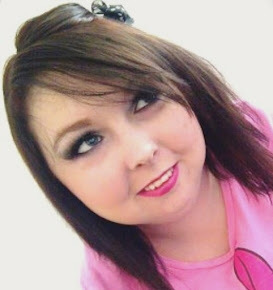 MAC - I am not the biggest fan of MAC make up, but I do like their eye shadows. Other than that, I don't like much of their stuff. Neutragina - I adore their skin care range. I love every product. Their daily visibly clear in pink grapefruit facial scrub is amazing, one of the best products I have ever used. I also love NYX. Olay - I love their instant hydration age defying night cream. Goes on smooth, no oiliness, no odd smell to it, feels nice. I love it. Pantene - I couldn't think of anything for this letter so asked Phil and within seconds he came up with Pantene so points to Phil for that. I don't like pantene much, their shampoo makes my hair feel so itchy and flaky. I am not a fan at all. QVS - I love their tweezers. I have had a pair of this QVS tweezers for ages and I love them so much. Rimmel London - I go on about Rimmel London's Match Perfection Foundation all of the time so I am obviously going to put it as my one for this letter. Stila - I really adore the Stila one step correct corrector. It's really good for people who acne so recommendations there. I also love their "in the light" eye shadow palette. Two true - 2true loose eye shadow dazzlers are amazing, I have so many of them. Barry M do such good dazzlers too. Urban Decay - These do the best eye shadows for natural eyes, but everyone knows that already so I don't need to say much about them. Vaga - I love their peel off deep pore blackhead cleansing remover masks. I also love Vaseline. Wild About Beauty - I haven't tried anything by these yet but I have their products on my amazon beauty wish list so I will get around to buying them and trying them out. Xen-Tan - One of the best tans I have ever tried. So natural and goes on so smooth, feels lovely on and doesn't take long for the tan to come out. YSL - I really love their touche luminous radiance concealer, it's one of the best I have tried. Their volume effet faux cils waterproof mascara is awesome too, the wand of it is so nice. Zoella - I haven't tried anything by Zoella yet but I do really want to try the "scrubbing me softly" body scrub and the "kissy missy" lip balm. I tag: Daisie Grace, Charlotte, Chloe, and Heather.